An Egyptian court has added former football star and 2008 BBC African Footballer of the Year, Mohamed Aboutrika to the authorities’ terror list. His lawyer on Tuesday said the move is based on suspicions he financed the banned Muslim Brotherhood. 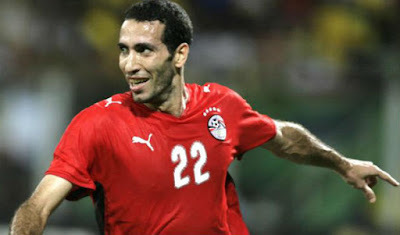 Mohamed Aboutrika Aboutrika, one of the most successful African footballers of his generation, had publicly endorsed the presidential bid of the Muslim Brotherhood’s Mohamed Morsi in 2012.